Pressure cookers are a special form of cooker that heats up food using water (or in some cases oil) in a sealed container. The container is designed to keep air and liquids inside them until they exceed a pre-set pressure. A pressure cooker is capable of cooking foods very quickly and saving energy in the process. Pressure cookers were very popular a few decades ago, because they were so fast and convenient. In addition, it is thought that the way pressure cookers work means that they preserve nutrients in the food that they cook. Boiling vegetables, for example, often removes nutrients from them, while steaming vegetables or cooking them in a pressure cooker is less likely to strip them of valuable vitamins. Pressure-cooking allows a chef to cook food at high temperatures and high humidity. The food is exposed to superheated water, which can hit temperatures as high as 121 degrees Celsius. This helps to keep food crisp, fresh and tasty and avoids the soggy and bland taste associated with boiling foods. 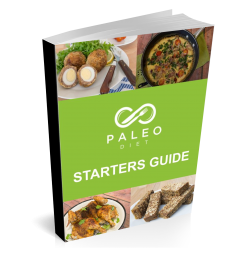 There are many Paleo-friendly recipes that can be made in a pressure cooker. In fact, you can cook almost any meat or vegetable in this kind of cooker. Traditionally, stews and curries are the most popular meals made with this gadget, but you can also use them to make everything from mushroom pates to buffalo wings. Because the pressure cooker is a time-saving gadget, it is common for people to cook grill- or oven-type dishes in the cooker to shorten the cooking time, then to finish them off the traditional way. You can even make caramelized garlic in just ten minutes (five minutes under pressure, and five under a broiler). Pressure cooking is a good choice for Paleo lovers because it is something you can do with just water, eliminating the need for oils that may be heavily processed. In addition, it is perceived as being safer than grilling or microwaving. It is a good way to cook fresh ingredients without burning out or soaking the nutrients out of them. You can make hard-, soft- or medium-boiled eggs, baked “French” eggs and even whole-cooked chickens in your cooker once you get used to the settings. You can also make a wide range of curries and stewed vegetables and even seafood dishes. The beauty of pressure cooking is that with just a few settings changes you can make anything well. It is almost impossible to over-cook food in a pressure cooker. The steam stops the food from drying out, so it simply cooks right through and will stay warm until you turn the cooker off. Food cooked in this way does not tend to go brown, so it does not look over-done either. The only downside is that the food can get exceptionally hot – to the point that an unsuspecting diner could bite into a piece of cooked meat and burn themselves if they do not realise that it has been cooked all the way through. However, this kind of hazard can happen with microwaved food too, because it tends to produce hot spots and cooler areas. This is why people are encouraged to stir microwaved food or leave it to stand for a while to cook through. In addition to cooking entire meals (or side dishes) in the pressure cooker, you can also use it to prep certain foods. Many Paleo diet followers, for example, prep meats in the pressure cooker before finishing them off on the grill. This ensures that the food is cooked all the way through and that it still gets that fresh “just off the grill” taste. In addition, you can use your pressure cooker to make sauces. Instead of buying hot sauce from the supermarket, do things the Paleo diet way and cook your own hot sauce in the pressure cooker. Did you know that it can take as long as six weeks to make traditional hot sauce (or even longer if you want to ferment it), but that you can achieve similar results in just a couple of weeks with a pressure cooker? You can achieve a similar goal with pesto. The humble pressure cooker has a bad reputation because of the problems that were associated with the first-generation devices. The old style of cooker had a weight-modified valve that was supposed to release pressure while the cooker was being used. These cookers hissed and whistled, and tended to offer only one pressure level. Some of the earliest models were prone to spitting and even occasionally exploded (scattering food everywhere) if there were problems with the seals. Newer cookers have a hidden spring-loaded valve that can be more easily adjusted. They have a clearly visible indicator to show the pressure level. Some of them are non-venting, and will only put out steam if the pressure level gets too high. Otherwise, they are supposed to be used by regulating the heat source they are exposed to so that the pressure level stays steady. Even more recent are the electric cookers. These automatically manage their pressure levels because the heat source is built into the cooker. These cookers have multiple pressure settings, and some advanced models even have a timer that can be used to keep food warm or start cooking food while you are on the way home from work. The main downside to this type of cooker is that it cannot be opened using the quick-release cold-water method. Care must be taken if you want to use this kind of cooker, because when you open it you may get hit with a blast of steam. It can take a while to get used to cooking with pressure. You will need to get used to filling the cooker safely and opening it safely, as well as adapt to the much shorter, cooking times that it offers. However, it is well worth the effort. Once you get used to cooking with pressure, you will wonder how you ever lived without it.